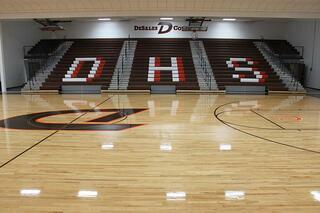 We provide nearly every product you could possibly need for your sports complex or facility. More than that, we design sports facilities from simple to complex. 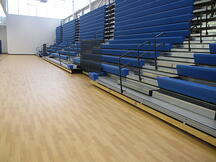 We provide our clients with more than seating design and basketball and football goal placement. We walk with you through the design-build process to the installation and completion of the project. Anyone can design a rectangular building, throw bleachers against the wall, and install a few hoops with a scoreboard attached to the wall. It requires a company like Toadvine Enterprises to consider the detail of how every fixture and piece of equipment should complement the function of the whole facility. We have been in sports facilities where 20 percent of the spectators had their view of the scoreboard or the athletes blocked by the scoreboard or some other facility component. Subtle changes in design can make the user experience improve dramatically. Considering how spectators enter and exit a facility, or how they access concessions and restrooms can make a huge impact on the performance of your facility. 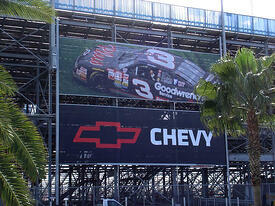 Most people do not expect their facility to serve them well, beyond it being a place to a house a sporting event. What if the experience of the event was drastically improved? What would that mean to your program? Knowing what works and what doesn't is an art and a science. We have every detail in mind when we design a sports facility. We have to consider the spectator experience and at the same time the environment we are creating for the athlete. Everything has to work together to exceed expectations. That is the main reason we have partnered with the companies we have. They share our commitment to excellence and innovation. Companies like Nevco, Porter, Gill Athletics, Interkal, Dant Clayton, Seating Concepts, and List Industries. We have to be selective because we are only as good as the product and service we can offer our clients. Choose more for your facility design and improvements, choose Toadvine Enterprises. Are you wanting the look and feel of a concrete stadium, but can’t afford the price tag? No worries, Dant Clayton has the solution for you! Introducing Dant Clayton’s Precast Concrete Stadium. This technology breakthrough provides the feel and benefits of a concrete stadium, without the cost of one. Their evolutionary design combines the use of precast concrete pieces with an economical steel structure. The hybrid precast system does what no other system out there is able to do! Dant Clayton’s hybrid system gives fans a solid and sturdy walking surface with less noise, vibration, and deflection, allowing for the concrete stadium experience on a pre-engineered budget! The key features of this evolutionary design are what makes it ahead of the curve! Call Toadvine today to figure out how we can give you a stadium like the pros on your budget! 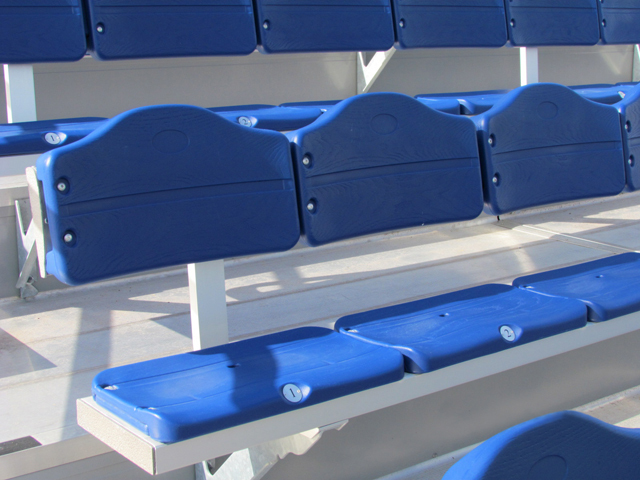 Dant Clayton, our manufacturer for high school and college stadium seating, now offers revenue generating opportunities for schools. If you need new indoor or outdoor seating, this a great solution that will help supplement the cost of the seating and instillation. Plus, it could provide extra revenue for your school. The following products allow for advertising opportunities for your top donors or local advertisers. Contact Toadvine to learn more about each product. Many of the products offered can easily be incorporated into existing facilities. If you’re thinking about upgrading your indoor or outdoor seating, the advertising opportunities on these products can help to offset the cost, and in some cases, even pay for the product themselves. If you think you can’t afford new stadium seating, contact Toadvine Enterprises. We can help you establish a plan for your school. Dant Clayton, our manufacturer for stadium seating, has recently launched a new website, making it even easier for visitors to see their projects and the markets they serve. Because Toadvine works closely with Dant Clayton on a number of projects from elementary schools up to the collegiate level, we wanted to share this new video from Dant Clayton. We feel it encompasses the various types of projects and customers they have, as well as the quality of the seating itself. 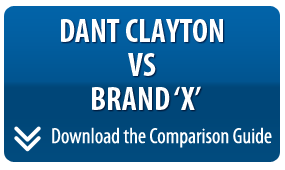 You can read more about Dant Clayton here. Contact Toadvine for any seating needs you have or request a quote online. Although Toadvine Enterprises is known mostly for providing athletic equipment, maintenance services, and stadium seating, we want people to think of us when they’re looking for more than those things. We can also service businesses and organizations that have nothing to do with athletics. Think churches for a minute. 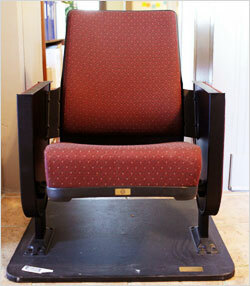 One of our manufacturers, Seating Concepts, provides auditorium seating for many different purposes. Their comfortable auditorium chairs have been installed in a number of different churches and worship centers, and come in a variety of designs to match existing interiors. 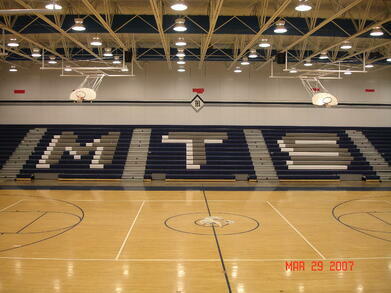 Seating Concepts also provides seating for places like cinemas and theaters, civic venues, and stadiums and arenas. I urge you to check out Seating Concept’s product page for photos, details, and free downloads providing more information. You can also contact us directly if you have any questions or would like a quote on these products.